Dogs feed our souls. 25 dog lovers coloring pages will certainly feed your soul. Find the heart in each one as you color and let your creative mind take over. 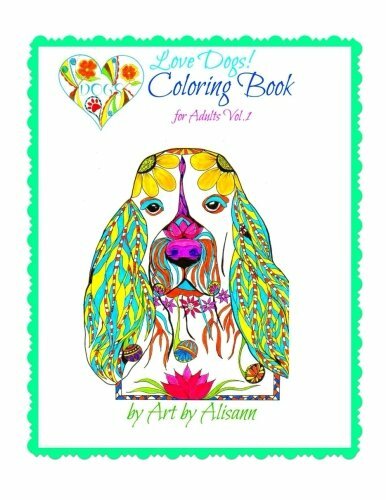 If you love to color, and you love dogs, then you certainly will want to add this coloring book for adults to your collection.Dogs in this book include several mix breeds as well as a Boston Terrier, Cairn Terrier, Papillion, Pitbull, Basset Hound, Bichon Frise, Border Collie, French Bulldog, Catahoula, Chihuahua, Corgi, Dalmatian, Dachshund, English Bulldog, Golden Retriever, Jack Russell Terrier, Labrador, Pug, Schnauzer, and Terrier Mix.